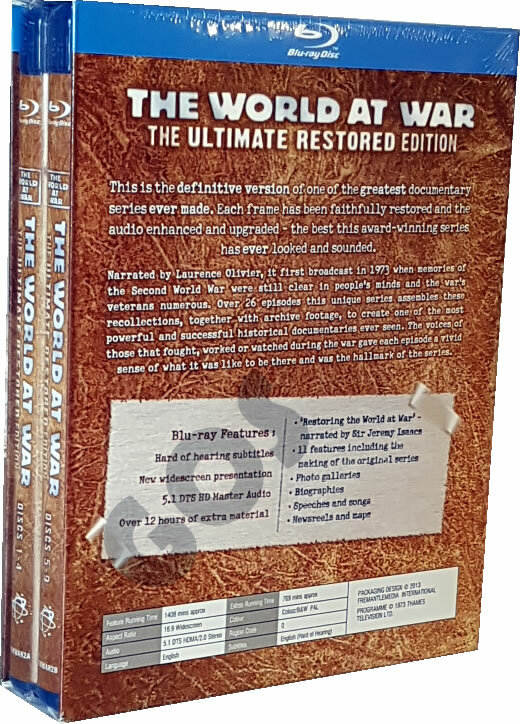 This is the definitive version of one of the greatest documentary series ever made. Each frame has been faithfully restored and the audio enhanced and upgraded. This is the best version available of this award-winning series both visual and audio. Narrated by Laurence Olivier it was first broadcast in 1973 when memories of the Second World War were still clear in people's minds and the war's veterans numerous. Over 26 episodes this unique series assembles these recollections, together with archive footage, to create one of the most powerful and successful historical documentaries ever seen. The voices of those that fought, worked or watched during the war gave each episode a vivid sense of what it was like to be there and was the hallmark of the series.